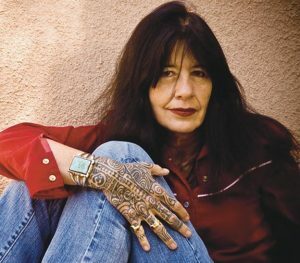 The festival welcomes Joy Harjo to the festival as our Special Guest. She will be interviewed with Laure-Anne Bosselaar and will deliver the annual Thomas Lux Memorial Reading following the festival gala. Joy Harjo’s eight books of poetry include Conflict Resolution for Holy Beings, How We Became Human: New and Selected Poems, and She Had Some Horses. Harjo’s memoir Crazy Brave won several awards, including the PEN USA Literary Award for Creative Non-Fiction and the American Book Award. She is the recipient of the Ruth Lilly Prize from the Poetry Foundation for Lifetime Achievement, the 2015 Wallace Stevens Award from the Academy of American Poets for proven mastery in the art of poetry; a Guggenheim Fellowship, the William Carlos Williams Award from the Poetry Society of America, and the United States Artist Fellowship. In 2014 she was inducted into the Oklahoma Writers Hall of Fame. A renowned musician, Harjo performs with her saxophone nationally and internationally, solo and with her band, the Arrow Dynamics. She has five award-winning CDs of music including the award-winning album Red Dreams, A Trail Beyond Tears and Winding Through the Milky Way, which won a Native American Music Award for Best Female Artist of the Year in 2009. Forthcoming in the fall of 2019 is a book of poetry from Norton, An American Sunrise. She lives in Tulsa, Oklahoma.